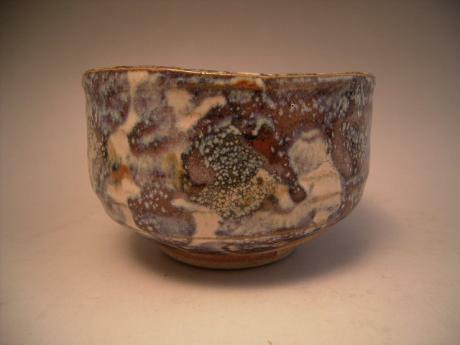 Description: Japanese 20th century earthenware tea bowl. 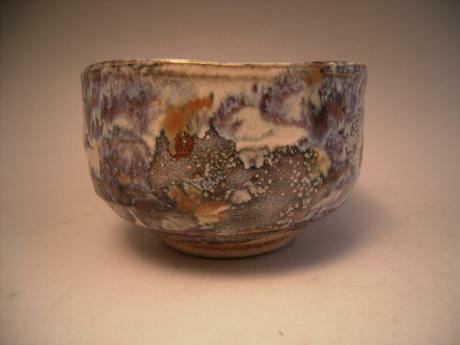 The tea bowl has a beautiful and unusual coloration. 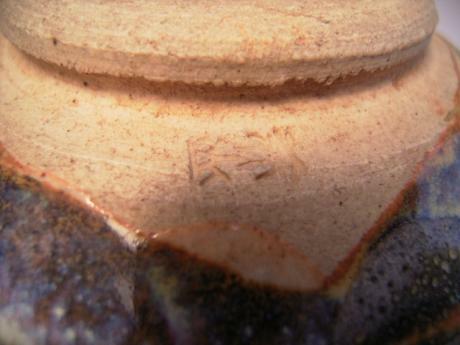 The bowl is stamped on the bottom by the artist, BIZAN. 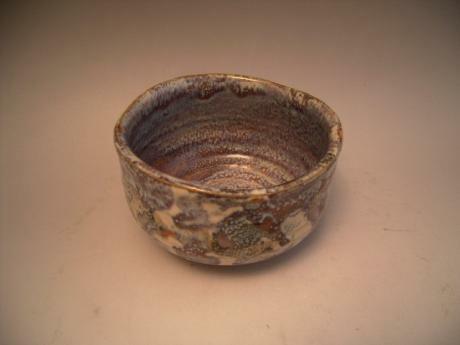 Tea bowl comes with original wooden storage box. 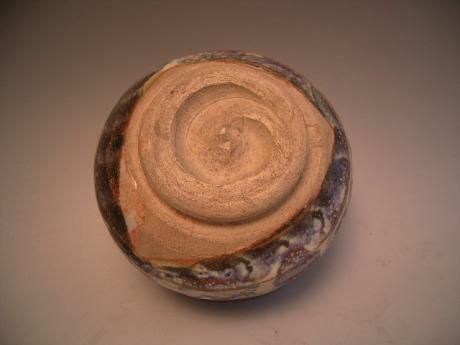 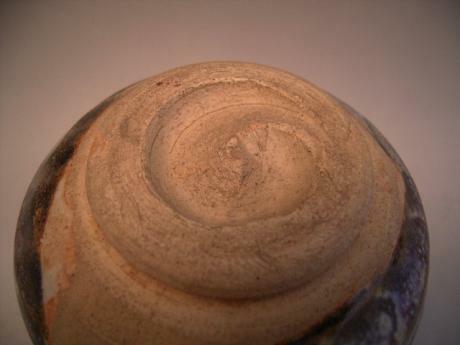 The bowl measures 3" tall, 4 3/4" in diameter at the top and 2 5/8" in diameter at the base.